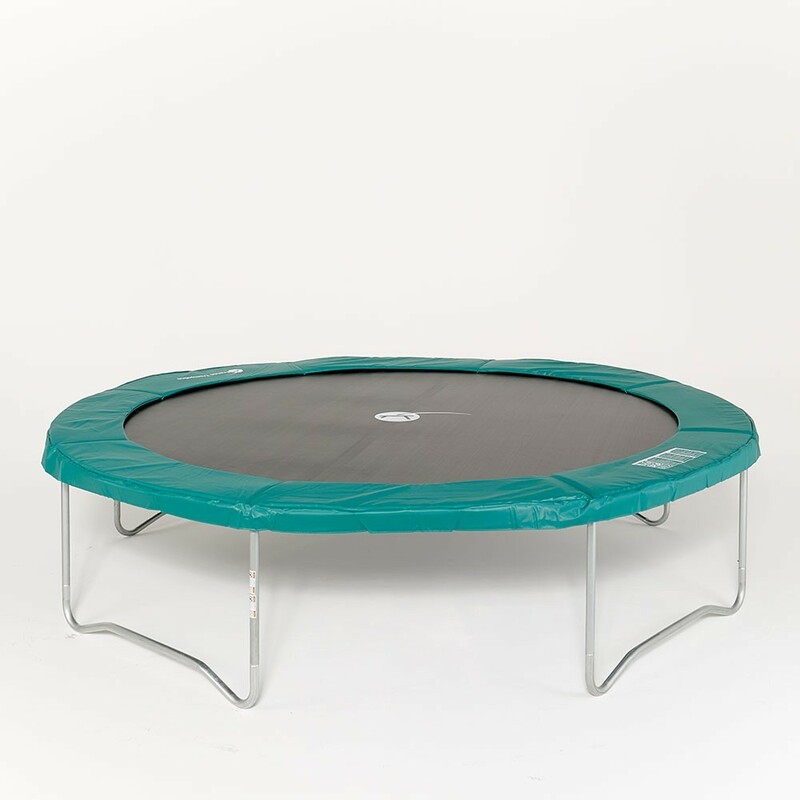 Purchase the 13-ft. Jump'Up 390 trampoline without a safety enclosure to replace your same-diameter, worn-out trampoline. 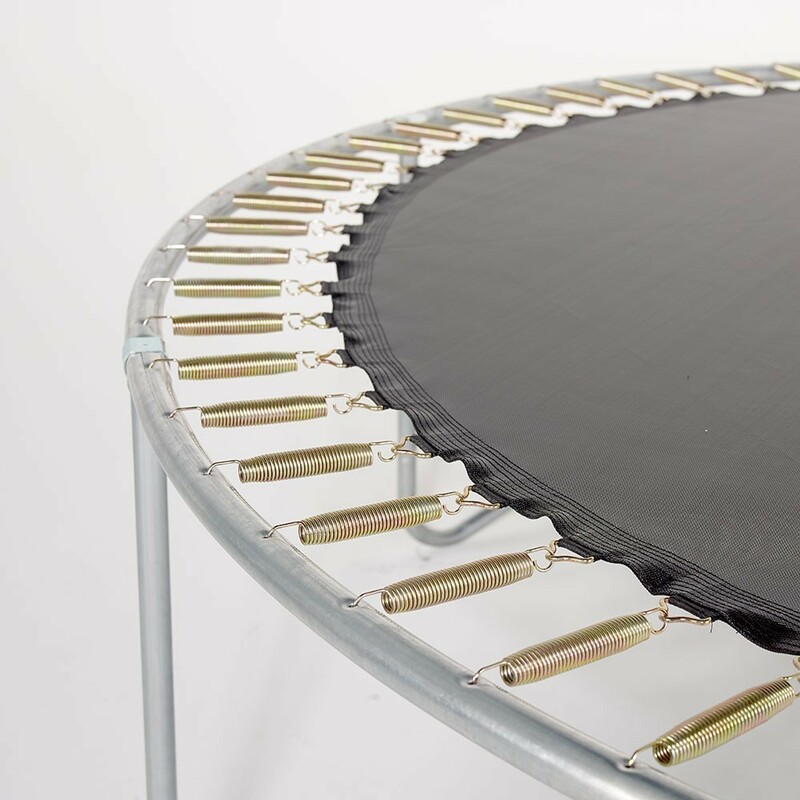 Trade up your worn-out Ø396 trampoline for a brand-new quality trampoline, compatible with any net that is attached to the trampoline with mounting brackets. 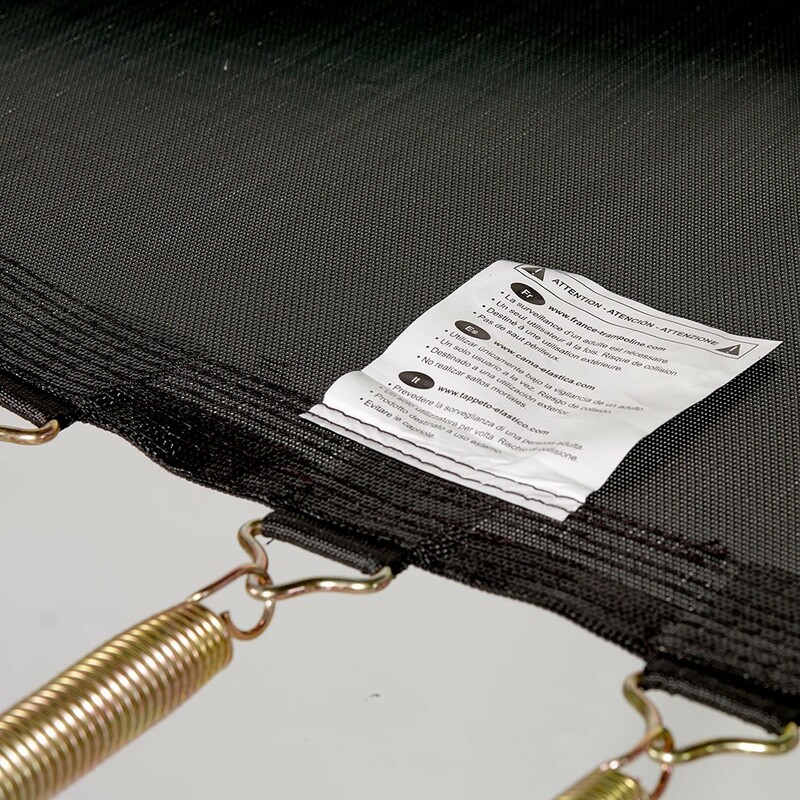 - If your trampoline safety net has 8 net posts of 25-mm (or larger) to keep it in place, then France Trampoline's Jump’Up 390, measuring 3.96 m in outer and with 4 wide W-shaped legs, is compatible with your safety enclosure. 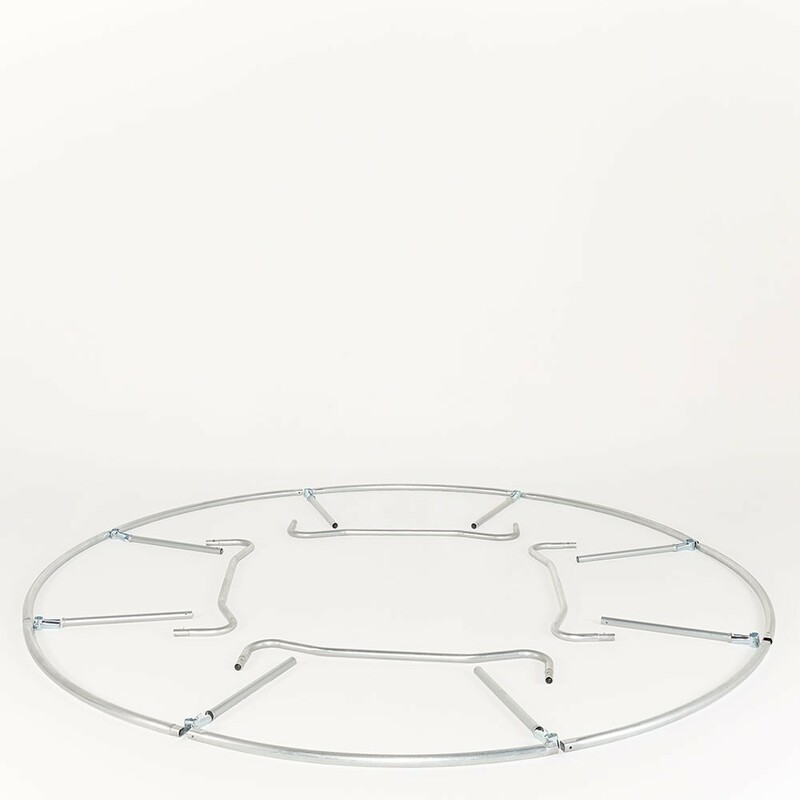 - The Jump’Up 390 family-style trampoline's frame is made of galvanized steel and is fixed to the legs with T-shaped joining parts, linking the semi-circles and the base of the structure, thus avoiding the need to weld. 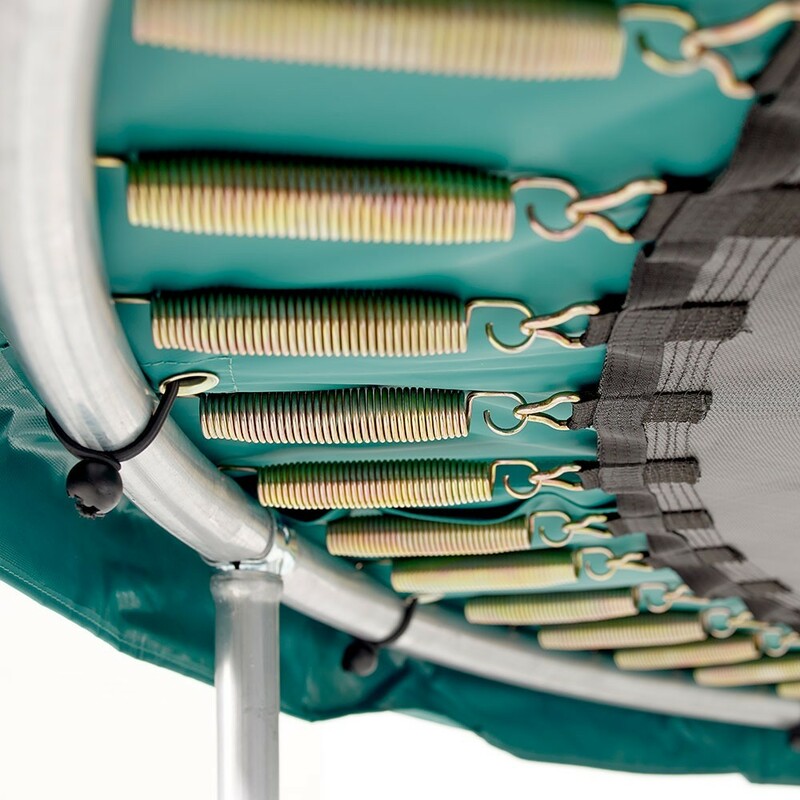 It can support up to 120 kg of weight. 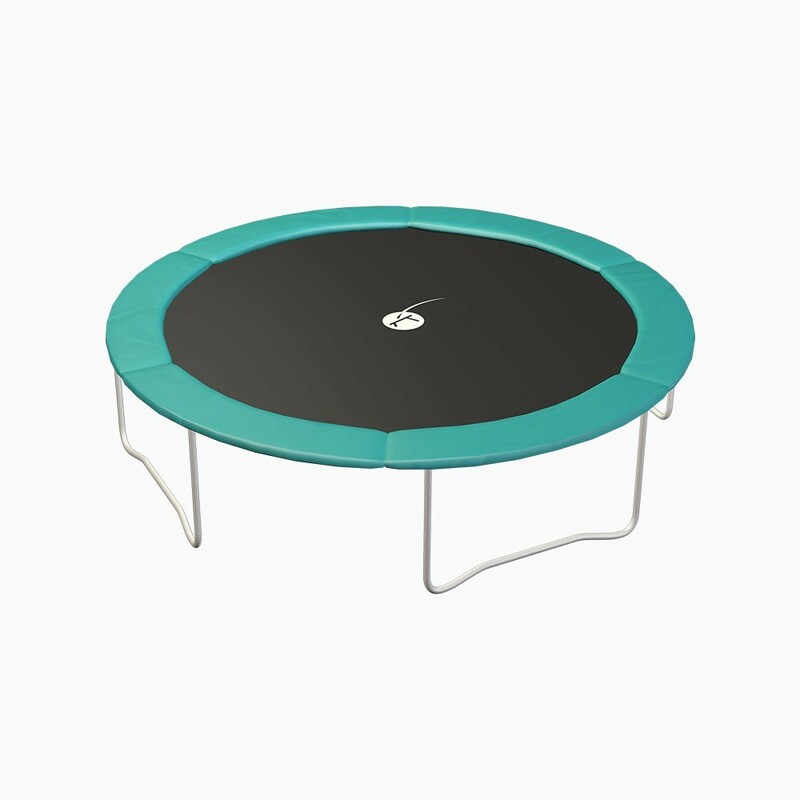 - This round trampoline has a mesh jumping mat reinforced at the fixation points with 8 rows of stitches securing a reinforced strap. 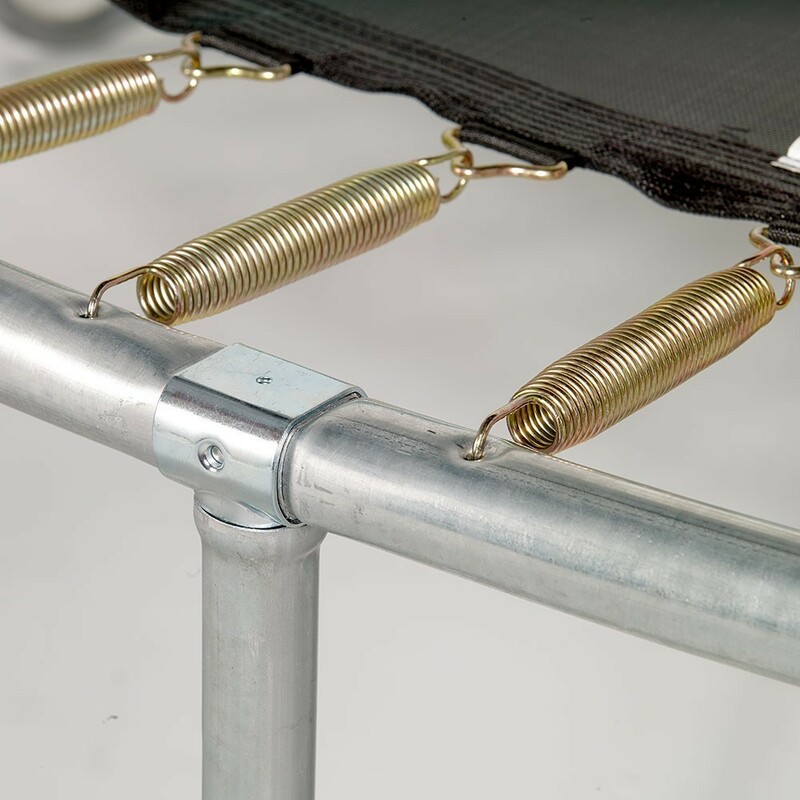 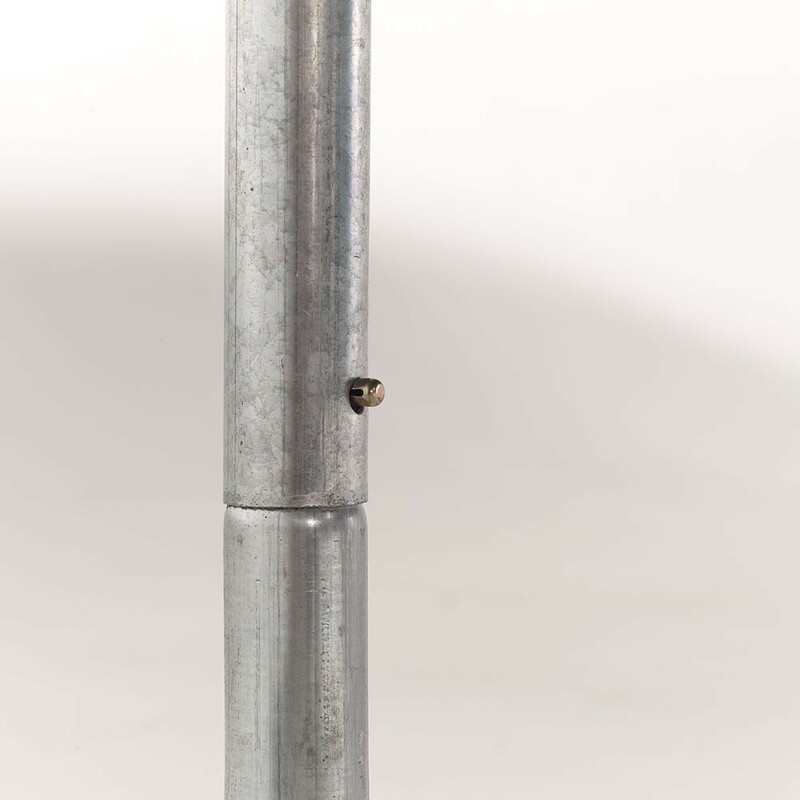 This system provides the fixations of the 80 springs on this trampoline with a high degree of durability. 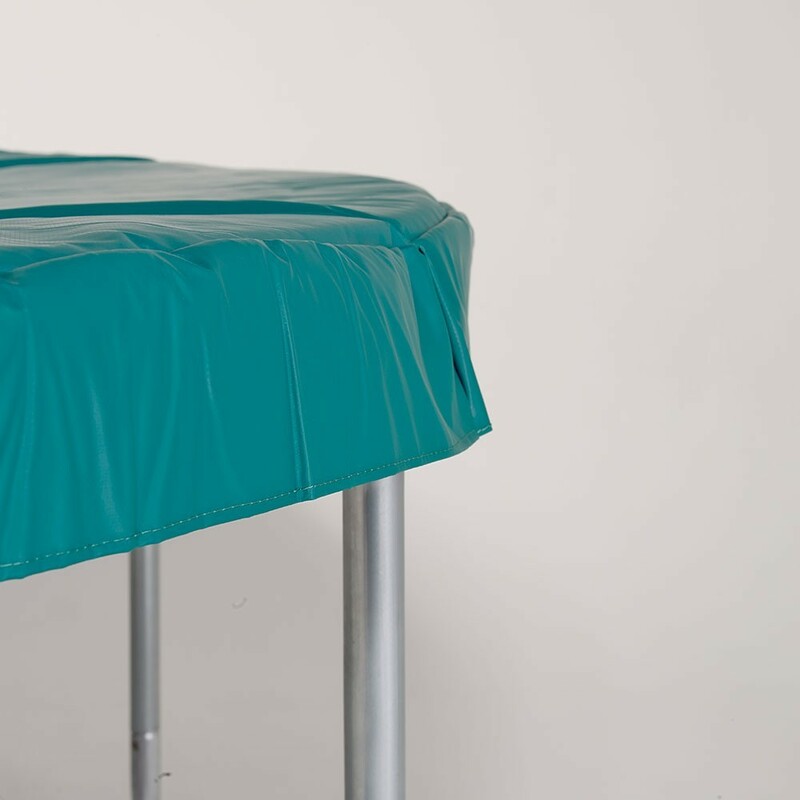 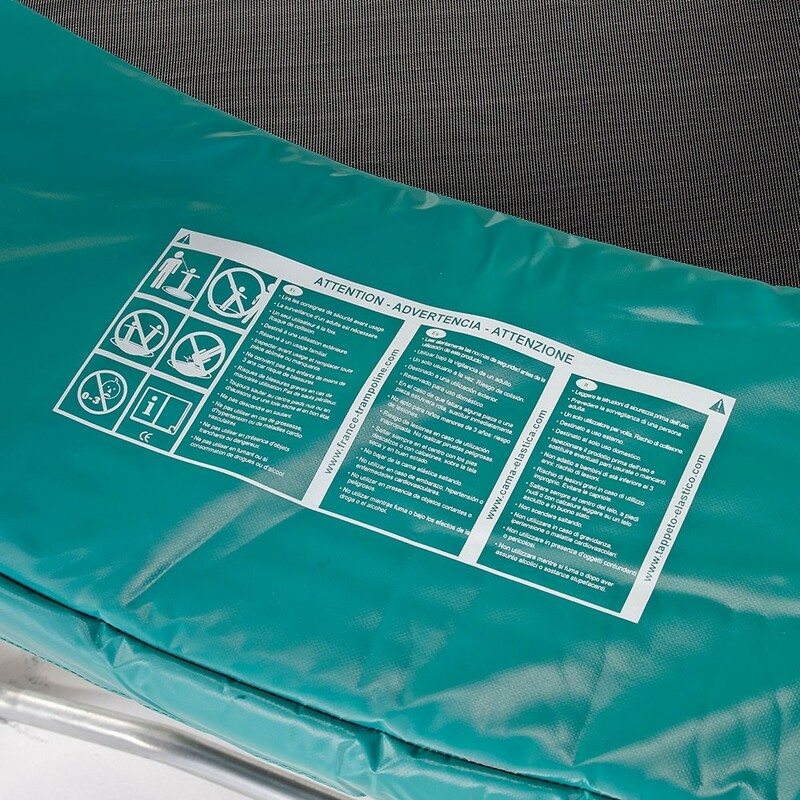 The jumper is protected by a thick, green safety pad made of a single piece of foam and covered with UV-resistant PVC.